Be it beautiful seaside, shimmering beaches, lively lifestyle or celebration of the festival, there is no other place like Mumbai which can make your India tour a memorable one. Famous as a melting pot of culture, Mumbai celebrates each and every festival with all high spirits. 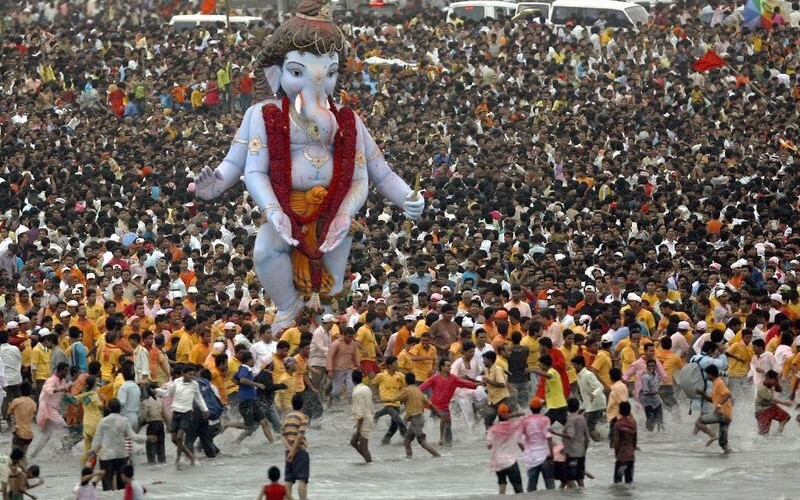 The festival for which Mumbai is famous for is the festival of Ganesh Chaturthi. People from all across the globe travel to Mumbai during India Tourism and especially during the Ganesha Festival to experience the real charm of Mumbai spirits. 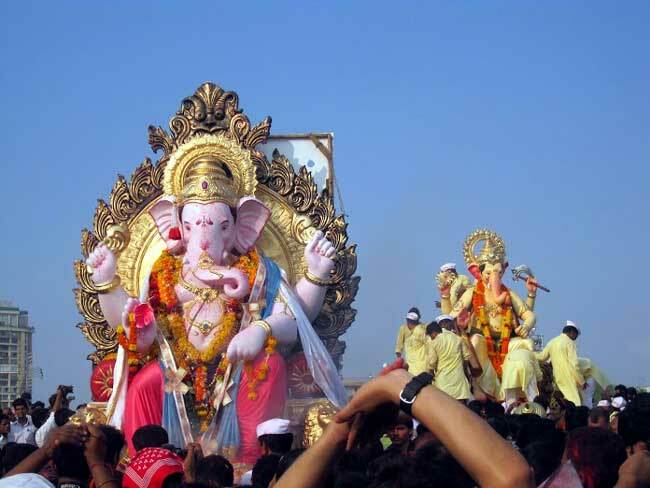 The festival of Ganesh Chaturthi in Mumbai is celebrated on large scale. Not only houses but even the roads of Mumbai come alive during this 10 days festival. People clean their house; roads started getting maintained and getting swept. 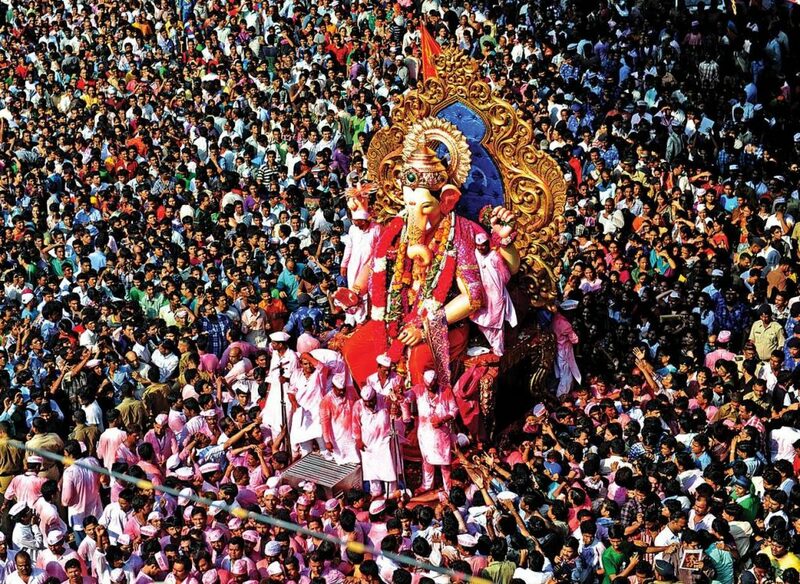 There is all different aura to be experienced in Mumbai during Ganesh Chaturthi. Every state and region in India has its own uniqueness when it comes to the festival and so with Mumbai. 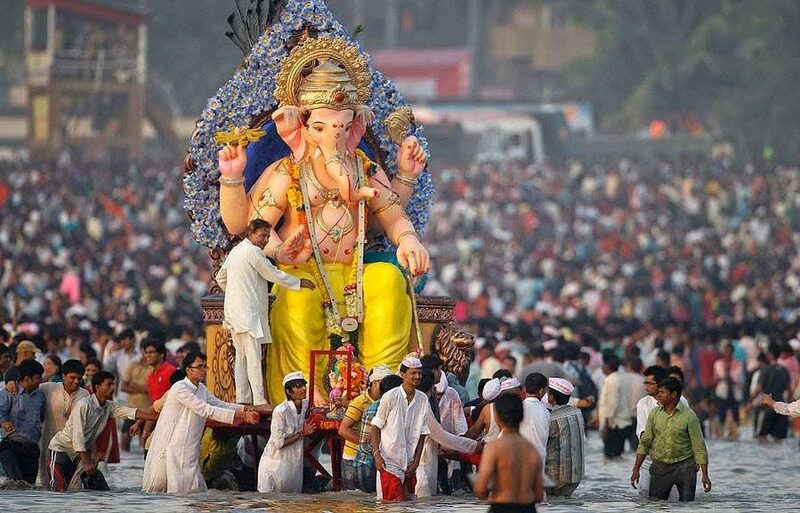 Everyone knows Ganesh Festival in Mumbai is the best way to experience the vibrancy of Mumbai’s life. It is believed that famous Maratha ruler Chhatrapati Shivaji Maharaj pioneered the celebration of Ganesha Festival in Mumbai at grand scale to promote the culture and nationalism among the people. Later during British Raj, Lokmanya Bal Gangadhar Tilak boosted this event as a public event in 1893. The reason why he organized Ganesha festival as a public event is to bridge the gap of casteism among the community and bring people together with unity against British colonial rule. To his noble cause, Lord Ganesha, the removal of obstacles blessed this event and ever since Mumbai carried out the legacy started celebrating Ganesha Festival every year on the huge scale. Seeing the popularity of the festival, there are many organizations which have started organizing especial Ganesha Festival tours through which you would be able to taste the real essence of Mumbai. Some organize the tour on the last day, while some arrange every day during the festival to let you know more about Ganapati Festival in detail. The Ganesha Festival Tour organizes to give you all the information about its history, celebration, legends and many more. We can say these add-on tours will just enhance your Mumbai tourism experience. Mumbaikars have the huge fascination towards Ganesh Chaturthi. Be it young, old or child, everyone gets drenched in the divine aura of Lord Ganesha during Ganesha Festival. The enthusiasm of this festival is incomparable. During the time of the festival, Mumbaikars (the locals of Mumbai) brought Ganesha idol at their home, worship the idol of Ganesha and organize various events in the form of cultural program, healthy competition and many more. People with all their family members offer prayers and modak to Lord Ganesha during the 10 days of the festival. 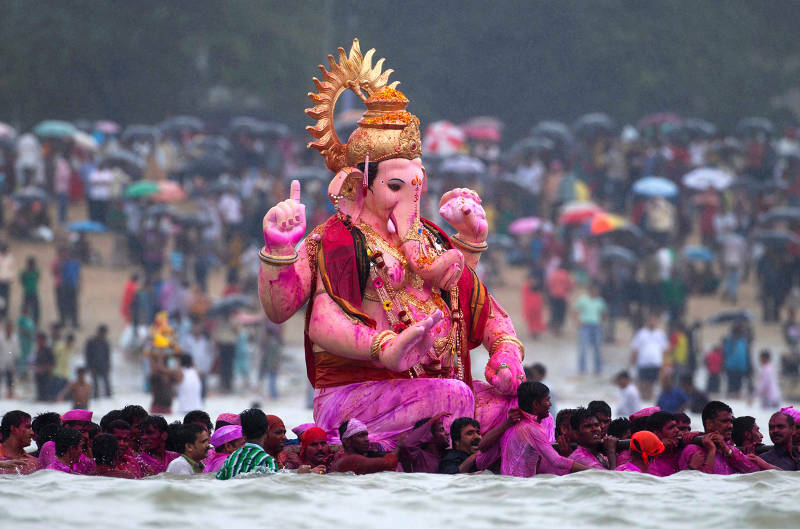 On the last day of the festival, people immersed Lord Ganesha idol in the water bodies. On this day, people organize various small and big events throughout the city with more than 1, 50,000 Ganesh Visarjan happening every year. 1. Marine Plaza at Marine Drive in Churchgate. 2. InterContinental Marine Drive at Marine Drive towards Girgaum Chowpatty. 3. West End Hotel at opposite Hospital Institute of Medical Science near Marine Lines. 4. Bentley Hotel Churchgate also on Marine Drive in the north of InterContinental. 5. 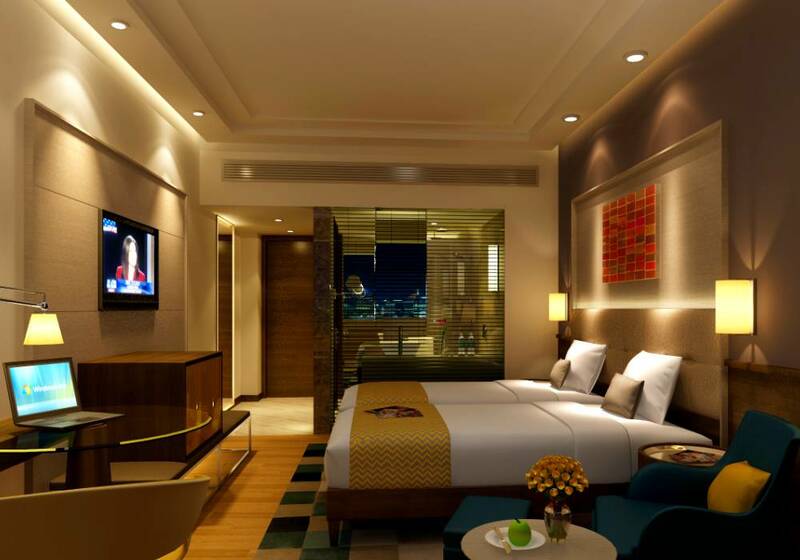 Krishna Palace Residency near Grant Road Railway Station. 6. Hotel KumKum near Grant Road East. This is how magnificently people celebrate the Ganesha Festival. It is not wrong to say that this festival has become an integral part of Mumbai’s culture and traditions.